I was so pleased to be a part of the National Conference of College Women Student Leaders again this year. Women students from colleges and universities all over the county gather each year at this time at the University of Maryland for this exceptional conference that is sponsored by the American Association of University Women and NASPA-Student Affairs Administrators in Higher Education. My workshop this year focused on The Work-Life Challenge and Finding a Balance that Works for You. The 40 young women, who attended the workshop, were diverse in their career goals but united in their positive attitudes about the opportunities for women. 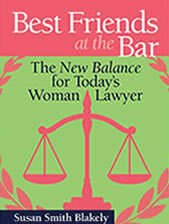 The themes of the Best Friends at the Bar books, especially The New Balance for Today’s Woman Lawyer, transcend the law profession and are applicable to women with many other career objectives. It was a great audience, and the workshop combined information with interactive exercises in networking and identifying subject themes and take-aways. I enjoyed meeting so many impressive young women—-and some not-so young-women, who are making important career transitions. All of you college and university women out there should think about joining the conference next year. I hope to be there again and meet you then! The thing always happens that you believe in; and the belief in a thing makes it happen. Here is a fantastic piece just posted on the Harvard Business Review on line. The writer, Meredith Fineman of FinePoint Digital PR is an up-and coming-entrepreneur and very talented young woman. And yet, she is not the extrovert that you would expect in such a wildly competitive business. Are you? Do you think that not being an extrovert is an impediment to business? As more of an introvert, does it make you uncomfortable and wondering what opportunities you are missing? Are you just one of only a few people who are wired this way? Find out more by reading the article. Specifically, find out if you may be an ambivert—didn’t even know that there was such a thing! AND I think I may be one! So much to learn here from Meredith and from Susan Cain, author of the best-selling book Quiet: The Power of Introvert in a World that Can’t Stop Talking, who Meredith interviewed for the article. In the interests of full disclosure, I am delighted to say that Meredith Fineman does public relations consulting for Best Friends at the Bar, and I could not be happier to have found her. Her star is rising, and I am watching! Hat’s off to Ladies DC for hosting another great event. I say that humbly because I was the featured speaker, but truth is truth. The women—and men—who gathered for the Ladies DC Happy Hour last night at the fabulous A Bar in DC were diverse, impressive and a great audience for my remarks. We schmoozed—as in fun networking!—before and after the program, and everyone had a great time. Even stormy weather outside could not put a damper on this crowd! Thanks, Ladies DC, for a wonderful evening! 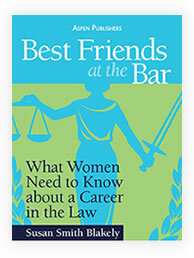 In my last blog, I discussed messages about success and the Personal Definitions of Success that are key to the Best Friends at the Bar project as a way of combating the low retention rates for women lawyers and keeping more women in the profession. I explained that Personal Definitions of Success are the only practical approach that makes any sense to me and why. I also told you that other people have been talking about success in similar ways, and who some of those people are. I also promised to share with you what some others have to say. Here are two of those people. In delivering the commencement address at Case Western Reserve Law School several years ago, Stephen Ellis described what he thinks are the necessary elements of being a happy and successful lawyer. And, they are not money and power. In fact, Mr. Ellis, a graduate of Case Western Reserve Law and a partner at Tucker Ellis, stated, “But the worst of all this is: that we’ve chosen simply money, as our measure of success. It’s too simple to say, “Money is the root of all evil” because it’s not. And I know that the absence of money is a pretty good predictor of unhappiness. But money, just money all by itself, does not provide a sense of worth or accomplishment, or even peace of mind. 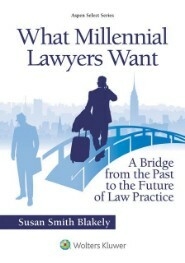 The fact is, it’s in our DNA to always want a little more, and getting more only feeds the need to get a little more.” Instead, Stephen Ellis says that the keys so being a successful lawyer are passion, people and principles. Passion for what you do, the desire to help people in need, and being true to your principles and your values. I hope that you are beginning to see a theme developing. Here is another person who spoke about success recently and whose views I think will interest you. Arianna Huffington, editor-in-chief of Huffington Post, recently told graduates of Smith College in her commencement address that they must redefine success in terms of the lives they actually want to live instead of being possessed with climbing the ladder to where money and power will take them. She said that the world desperately needs people who will define success in terms that are not limited to money and power, and she wants the new graduates to not just take their places at the top of the world but to change the world. 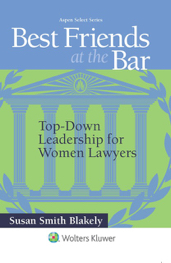 She called on them to lead the third women’s revolution—-just as I call on my readers in the Best Friends at the Bar: The New Balance for Today’s Woman Lawyer to join the new liberation for women lawyers. Ms. Huffington describes success as a three-legged stool: Money, power and well-being/giving back to society. According to her, without the third leg, the stool will topple over, as so many stools of success have done recently when the people standing on them cannot find their purpose in a world where the definition of success is limited to money and power. She challenges young women not to settle for just breaking through glass ceilings in a broken corporate system or a broken political system but to change the system by getting to the bottom of what is wrong with it. Think about it. The well-being and sense of purpose that Arianna Huffington is talking about is the same well-being that I emphasize in the New Balance book. It is knowing what matters to you, what values you respect for yourself and your family, and finding a way to make a personal definition of success work for you. Having the necessary time for your young family may not have the same impact as leading an effort to solve world hunger, but it is all a matter of perspective and timing. Only you can define what success means for you at any particular time. Don’t let anyone tell you that you are “unsuccessful”—-ever. Not the bar examiners, that I talked about in the last blog, or the people who sign your pay check. Success is a relative term. It is what you define it to be based on your personal circumstances and values. Good luck with redefining success to create a better world and with crafting your own personal definitions of success! I am betting on you! I am very pleased to be the guest of Ladies DC at ABar (25th and Pennsylvania Avenue) tomorrow, Tuesday, May 28th, from 6 to 8 PM. My remarks will include survival tips for young career women, and there will be Happy Hour food and drinks—a winning combination! Come and bring your friends. Can’t wait to see you there! The thought for today is in memory of all of our veterans. The most important thing was hiring someone who was likeable and who had a personality I wanted to be around. I also wanted merit. I looked for students that were at the top of their class, who had evidence of superb ability, and had exemplary writing abilities…generally those who were published.